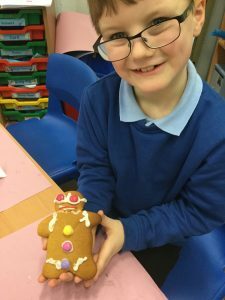 Over the last few weeks we have been designing an appealing product as part of our Design and Technology work. 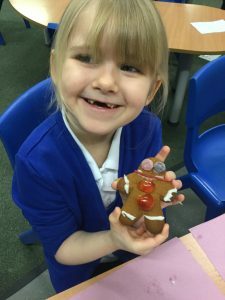 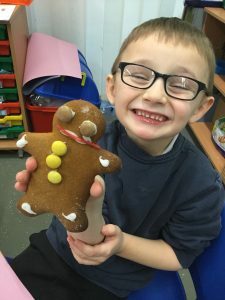 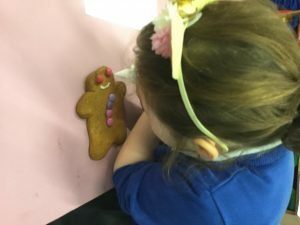 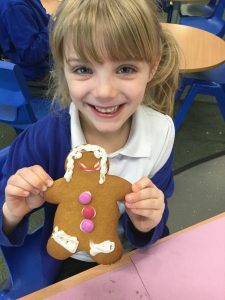 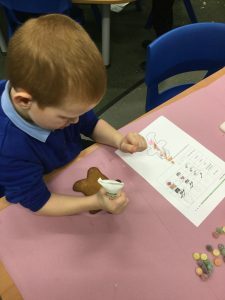 We looked at Gingerbread Men and thought carefully about how we would like to decorate our own. 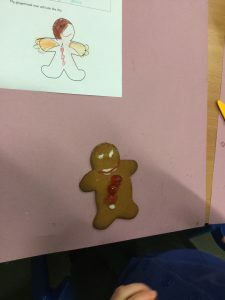 After cooking them we added our decoration according to the design that we made. 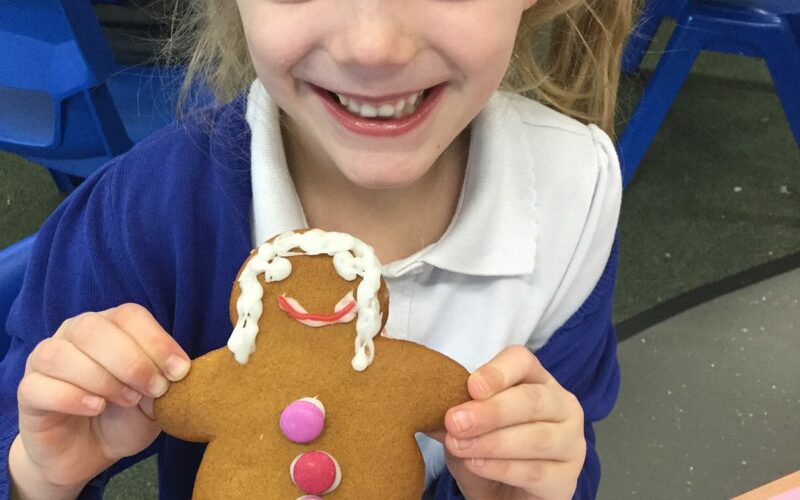 They looked very delicious and the best part was that we got to gobble them up at the end.